ALLENTOWN, Pa., Oct. 11, 2018 /PRNewswire/ -- Electric service reliability for PPL Electric Utilities customers is ranked in the top 10 percent nationally and first in the Mid-Atlantic region, according to a key reliability measure from a national engineering association. Figures for 2017 performance from the Institute of Electrical and Electronics Engineers (IEEE) show PPL in sixth place nationally among 93 utilities when measured on the frequency of outages on its system. 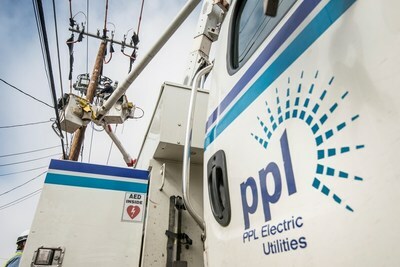 "A combination of investments in smart grid technology, in upgrading power lines, poles and other equipment, and in comprehensive tree trimming and clearing have paved the way for this continued improvement," said PPL Electric Utilities President Greg Dudkin. "We continue to use technology to help us work smarter and more efficiently, whether it's using big data to help drive improvements or studying how best to approach the growing appetite for distributed energy resources like solar, the customer experience remains our focus. The communities we serve depend on us. Our job is to keep delivering for them." The average PPL customer saw well below one power outage of five minutes or more over the course of the year. Last year was the most reliable in PPL's history. Compared to 2007, PPL customers experienced a total of 550,000 fewer interruptions in 2017. Power quality and reliability are top factors in customer satisfaction. Among large utilities nationally, PPL Electric Utilities ranked third in customer satisfaction on that topic, according to a recent national survey.